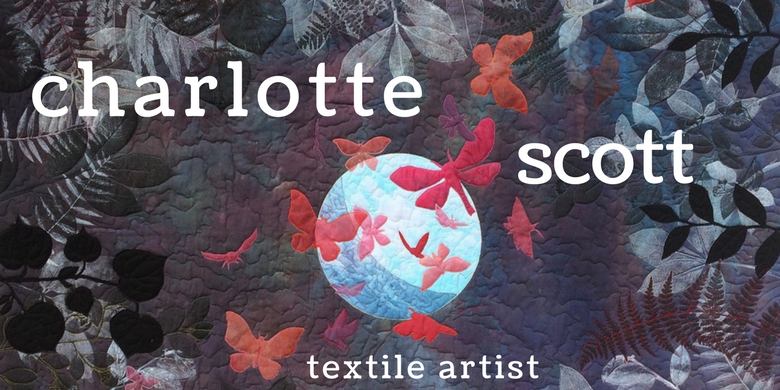 Charlotte Scott - Textile Artist: Issued: Quilt Challenge! 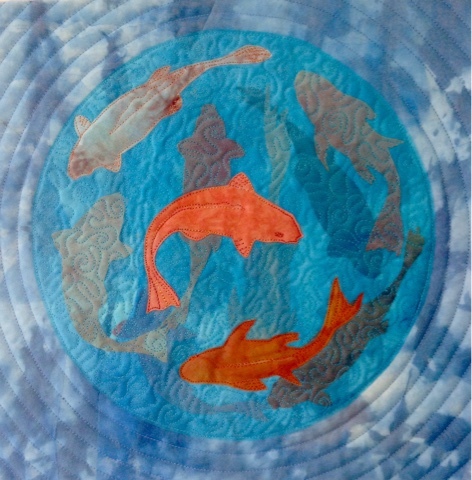 Aotearoa Quilters have issued two mini quilt challenges and I'm forming a quilt challenge email group within my quilt club to help us get motivated and provide support to each other. I thought I'd extend the invitation out to any of you readers who also want to join in the fun. This is my blue and orange 12 X 12 challenge entry for our exhibition earlier this year. It was fun to make! Their website is www.aotearoaquilters.co.nz where you can find more info. At the moment they don't seem to have much up about these challenges, but I'm guessing they are recovering from the great nz quilt show and they'll get back into gear soon. Yellow 12 x 12 The colour challenge this year is YELLOW - think ranges from deep golds through to pale lemon. Do you think sunflowers and daffodils, autumn trees, egg yolks and lemons, sunshine and bees? Size 12x12 inches. Size is 45x20cm (portrait). All are for sale at $125. The entry deadline is September 1, 2016. So our deadline is Sep 1st. That gives us about 13 weeks, heaps of time! I'm going to endeavour to send out weekly or fortnightly emails with my progress, suggestions and questions to see how you are all going. And if the group is happy to share emails, we can get feedback and ask questions of the group as a whole - a little community of challengees! So if you want to join in, drop me an email theslightlymadquiltlady (at) gmail.com and we'll get going. comment testing - comments seem to be disappearing. can you leave me a comment if you have a moment and then if it doesn't seem to appear, email me? Hm, interesting. Could be fun to join in, but I'm not going to ship my resulting work across the seas. Love your blue and orange challenge piece! Due to a huge increase in spam, I've disabled anonymous comments. Apologies if this effects any real life readers! How to bind a funny angled quilt. Let's have a catch up.